With well over 1.3 billion websites on the internet, each with upwards of hundreds or even thousands of individual web pages, it is practically impossible for any single individual to navigate it all. Social bookmarking websites help to cut through the noise, leveraging the power of the crowd to uncover great content. Calling itself the "front page of the internet," Reddit empowers individual users to create and engage in communities on nearly any subject. The categories and subcategories on the site, called subreddits, allow members to share links, stories and images that can then be "upvoted" or "downvoted" by other community members. The purely democratic approach means that the most "upvoted" content rises to the top. 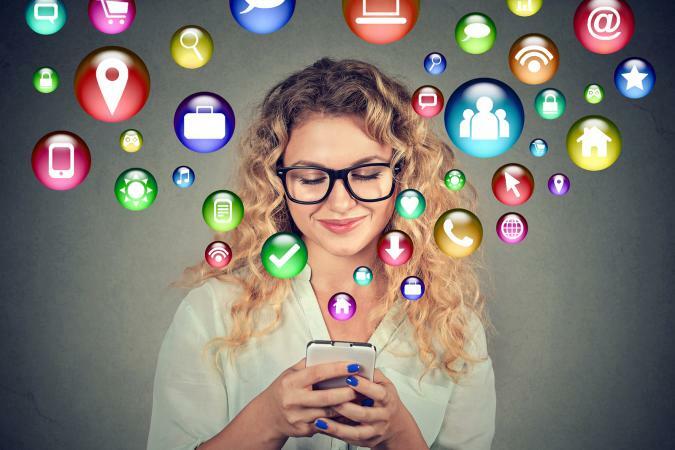 What Is Electronic Social Networking? Wix offers several reasons why it thinks Reddit is "so awesome and addictive," like the Ask Me Anything (AMA) section where celebrities are known to open themselves up to questions from the community. As one of the "unofficial poster children of Web 2.0" and a hugely influential player in the development of the social internet, Digg was one of the first "social news sites" on the internet where users could vote submitted content up and down. If you liked something, you'd "digg" it and if you didn't like it, you'd "bury" it. On a rather frequent basis, the servers for some websites would go down, overwhelmed by the sudden influx of traffic (known colloquially as the "Digg effect"). Today, Digg aggregates news from across the web, curating a front page of stories for users within select niches and topic areas. "Social signals" act as part of this automated curation process. Alongside pioneers like Delicious and Digg, Slashdot positions itself as "news for nerds [about] stuff that matters." The fundamental process here is very similar to other early social bookmarking sites that remain popular today. Individual users submit stories to the site. From there, community users can upvote on the submissions they like. The most popular stories are then displayed on the front page or within select categories like Devices, Entertainment and Science. Slashdot has won several awards over the years, dating as far back as the Hot New Site award from USA Today in 1997. Helping users "discover the best of the web, one click at a time," StumbleUpon is best understood as a "discovery engine." Rather than being presented with a curated front page based on social signals or upvotes, users are automatically sent to recommended web content. Once there, users can rate the web pages. As a result, the system learns user tastes, preferences and interests over time to generate a more personalized experience. StumbleUpon can be used via a toolbar on several popular web browsers or via a native app for mobile devices. You can sign up for an account by connecting via a Facebook or Google account. Kissmetrics says that StumbleUpon is one of "the best traffic generators" for marketers and online content creators. While technically more of a microblogging platform, Twitter is also very viable as a social bookmarking site and tool. With over 300 million monthly active users posting a total of 500 million tweets each day, Twitter's enormous user base is one of the site's greatest strengths. As a user, you can choose individual Twitter accounts you'd like to follow and browse through results based on hashtags. To stay on top of the latest and biggest stories, check the right sidebar on the Twitter website while logged into your account. There, you will find "trends for you" that are "tailored to you based on your location and who you follow." Moments are also useful for this purpose, curating top stories as they relate to your interests. A very visual platform that focuses much more heavily on images than on outbound links, Pinterest is an excellent site for those in search of inspiration. Over 200 million people use the site every month, skewing toward a female audience (70%). 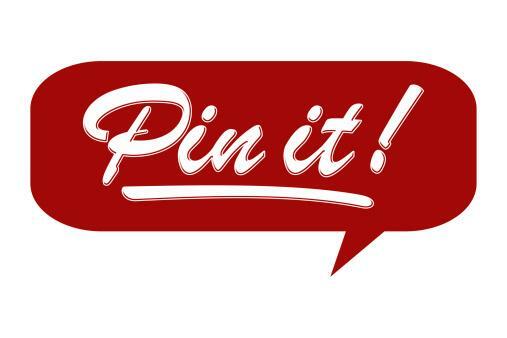 Users "pin" content to their "pin boards" and the pinned content is then shared with followers and other site members. The site is known for its striking visuals and stylized photos. The most popular categories include food and drink, DIY and crafts, women's fashion and travel. Whereas Pinterest is decidedly visual in nature, Hacker News on Ycombinator is remarkably stark and minimalist by comparison. The site is mostly text-based with virtually no images whatsoever. Similar to Reddit and Slashdot, users on Hacker News submit links and stories that they think would be of interest to the community. These result in comment threads for discussion, and members can upvote and favorite content. Submitted content focuses on "anything that good hackers would find interesting." The site algorithm then ranks stories based on a number of factors, including user flags, time since the story was submitted, and the number of upvotes. Unlike Reddit, Hacker News does not have a "downvote" function. Changing its name from Read It Later in 2012, Pocket is a tool that can be used on both desktop computers and mobile devices. When you come across something on the internet you would like to save for later, you can add it to your Pocket account. Articles can be significantly pared down to a minimalist view for ease of use on mobile devices, including offline. With a premium account, you can also add smart suggested tags for further organization. The social bookmarking element of Pocket comes into play through two key features: Recommended and Explore. The first curates stories that are personalized to you, partly based on the people you follow on Pocket. Explore goes beyond this as it does not require you to follow other users, offering a near infinite array of trending content to consume. While many other platforms are used by casual users for casual purposes, Diigo aims to provide a platform where users are better able to collect resources for research purposes. In addition to saving and tagging content from around the web that you can access again at any time, you can annotate web pages and PDF documents directly with your own notes, organizing these references through sticky notes and a tool called Outliner. Built for students, academics and professionals, Diigo makes it easy to share your research with other users who may be interested. Teach Hub, a website provided by the K-12 Teachers Alliance, says that Diigo "rocks for educators." The group feature enables users to interact with other educators who may be approaching the same subject matter. It's also great for sharing useful resources with students. Targeting small business owners, managers, startups and entrepreneurs, BizSugar gives professionals the opportunity to share their own business blog posts and other online content so that other users can learn from them. This is great for building up a formidable reputation in your industry, helping to establish your position as a thought leader and expert. BizSugar uses a voting system so the most popular content floats to the top of the homepage. Integrated buttons allow for easy sharing on Twitter and Facebook too. In some ways, BizSugar is to Reddit as LinkedIn is to Facebook. It offers a more business-focused community and is a good way to help spread your business content with like-minded individuals. Like Diigo, BibSonomy is also positioned to approach academic and educational spheres. A major difference is that while Diigo may be appropriate for primary and secondary education, BibSonomy is more appropriate for higher education. It is particularly appropriate for sharing content published in major scientific journals. With this site, social bookmarks can be stored, shared and organized among team members. Bookmarks can then be tagged to provide more structure to collections. PC Mag named BibSonomy as one of the top tools for managing and sharing citations. There is no cap on the amount of documentation that can be saved. The site's cloud-based nature allows for easy access from anywhere via browser add-ons. Perhaps one of the most practical advantages of social media and social networking is the ease with which information can be freely shared among users. Social bookmarking sites help you discover useful content that you may not have otherwise found. By contributing to these online communities, you can help other users find what they're looking for too.